where I have to makeover a room with spending more than $100. 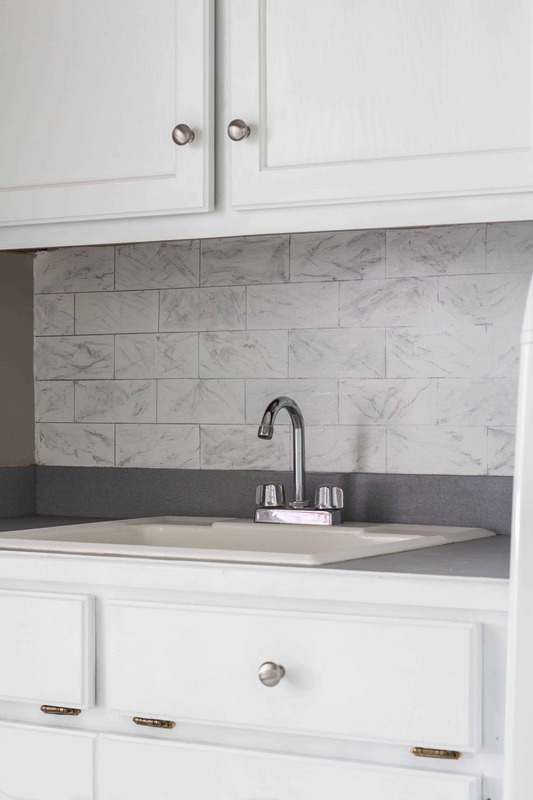 Visit the blog post to see how I created this Faux Marble Subway Backsplash without spending anything. Our Most Loved this week is Ikea Built-ins for Storage from Gluesticks Blog. My favorite for this week is Stenciled Linen Pillows from Snazzy Little Things. This is perfect!